Cactus’ team member Dorotea tells us all about her two week language learning adventure in Portugual, in her own words. Where did you chose to take your Portuguese course? My new yeara��s resolution was to learn Portuguese so I booked my first language trip to Portugal at the beginning of the year. In order to make the most of my two weeks away, I decided to spend one week in Lisbon and another in Porto, and to take a language course in both locations. This proved to be a prophetically sound idea, as the courses provided me with a structure around which to organise my sightseeing as well as the confidence to approach locals when out and about. What did you do in your first week? 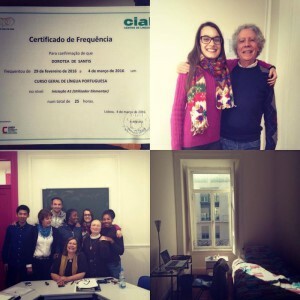 During my first week in Lisbon, I took a general course at CIAL Centro de LA�nguas. CIAL is a great school located not too far from the city centre, which offers its students the option to either reside in a student house or to stay with a family, for those who prefer an immersive experience. All of CIALa��s teachers are native speakers and fully qualified instructors, who truly have a passion for what they do. This is proven by the fact that in just one week at CIAL I went from speaking no Portuguese to being able to hold a basic conversation when meeting new people; had it not been for my teachers Herminia and Virgilio, this would not have been possible. What did you think of Lisbon? Despite being smaller than most European cities, Lisbon still has a somewhat cosmopolitan feel, as its decadent charm attracts tourist from the world over. CIALa��s atmosphere contributed to this sentiment as every day I studied with students from Colombia, Japan, Africa, and Scandinavia. This made interaction all the more fun as we were challenged to communicate in class as well as during the afternoon activities organised by the school, such as wine tasting, visits to museums and gastronomic experiences in the citya��s many Casas de Fado. How was your experience in Porto? In Porto on the other hand, my experience felt much more regional. 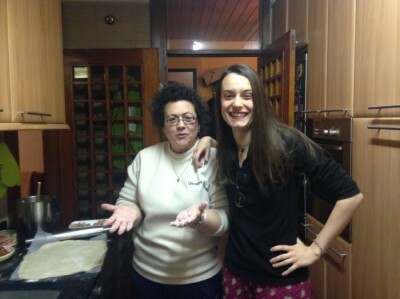 I stayed in a lovely home in the suburbs and was greeted with open arms by GraA�a and Carlos, my Portuguese host parents. The school, Oficina de PortuguA?s, was perfectly located in the historical centre of the city in Rua Santa Caterina. It is a much smaller school, however its tutors Angela and Rita, are just as committed as those I met at CIAL. While in Lisbon I acquired the basics in order to get by in Portuguese, in Porto I was able to consolidate this knowledge and tackle more difficult grammatical rules, as I had one extra hour of study per day and I went back to a Portuguese speaking home after class. I also benefitted from one hour of private tuition in the afternoon. Which city did you prefer? As far as the two cities of choice were concerned, both Lisbon and Porto are characterized by a contemporary yet ancient charm; every ‘beco’ of the city oozes wisdom, every building tells a story. One of the things I was most impressed by was its street art, which added to rather than detracted from the beauty of its surroundings. As I spoke to many locals, they explained to me that the murais have come to be considered a�?arte urbanaa�� rather than meaningless graffiti; their presence adds to the social and political identity of the city. This was a shared sentiment both in Lisbon and in Porto. 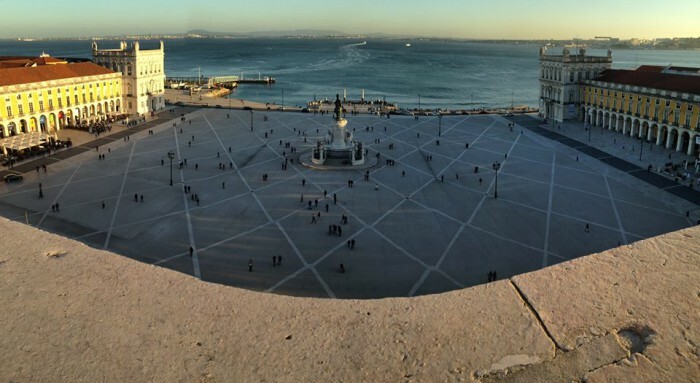 In Lisbon, I was provided me with the excitement of being in a larger, more international city. As for Porto, its bell towers and Romanesque cathedrals gave me a sense of tradition and history, as I felt I was travelling back in time. The excitement of the former was therefore well contrasted by the tranquility of the latter. How did you find the Portuguese people? Much of the positivity and determination that encouraged me to learn the language came from the incredible hospitality of the Portuguese themselves, which is difficult to put into words. 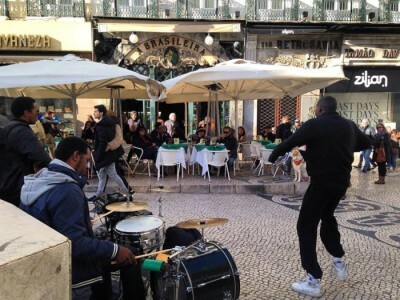 From the moment I arrived in Lisbon to the moment I was driven to the airport in Porto by my Portuguese a�?parentsa�� who waved goodbye to me as I walked through security, I felt incredibly looked after and accepted, in a way that I didn’t expect. I am therefore extremely grateful for a trip that exceeded my expectations, for the extraordinary places I got to see, and for the warmth and the kindness of the people I was met with. In Portuguese, the expression a�?ter saudades dea�� means to have a longing; to miss something or somebody. Upon my arrival in Porto, GraA�a told me that once you have visited Portugal, you will always feel saudade. Having been and left, I can confirm that she was right. Previous Previous post: Quelle A�cole da��anglais te correspond le mieux? Next Next post: What Language Teaching Methodology do Cactus Teachers use?